So if you're anything like Ernest Hemingway from 1926 to 1929, you've been traveling the world and taking up some exciting new hobbies: deep sea sportfishing in Cuba and duck hunting in the American Midwest. He chronicled his adventures--how many large fish he caught, how well the hunt went--in letters to friends and family members, collected in The Letters of Ernest Hemingway, Volume 3: 1926-1929. 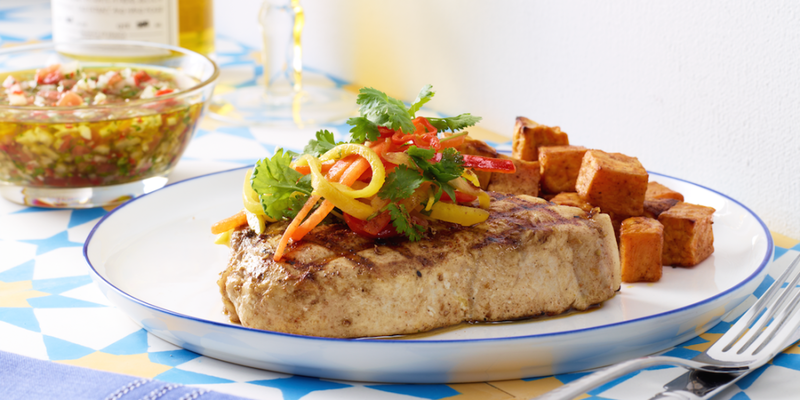 This recipe from renowned chef Daniel Boulud brings the flavors and local produce of Hemingway’s Cuba and the Caribbean to your swordfish steaks. In a small, dry sauté pan, toast the spices over medium heat. Stir in the lime juice and set aside to cool for 5 minutes. Whisk in the olive oil. Place the swordfish in a shallow dish and coat with the spice mixture. Marinate, covered, in the refrigerator for 2 hours. To make the sauce chien, pulse chiles, onion, garlic, and half of the cilantro leaves in a food processor until finely chopped. Transfer to a bowl and whisk in the lime juice, olive oil, and tomatoes. Season with salt to taste. November duck hunting in Wyoming means you can use every part of the fresh bird, so here are two recipes: one from Bon Appétit pairs easy roasted duck breasts with root vegetables and a punchy mustard sauce. Preheat oven to 400°. Score fat side of duck breasts ⅛” deep in a crosshatch pattern; season both sides with kosher salt and pepper. Heat 1 Tbsp. vegetable oil in a large ovenproof skillet, preferably cast iron, over medium. Cook 2 duck breasts, skin side down, until fat is rendered and surface is deeply browned and crisp, 10–15 minutes; transfer to a plate. Wipe out skillet and repeat with remaining duck and 1 Tbsp. vegetable oil. Thinly slice duck. 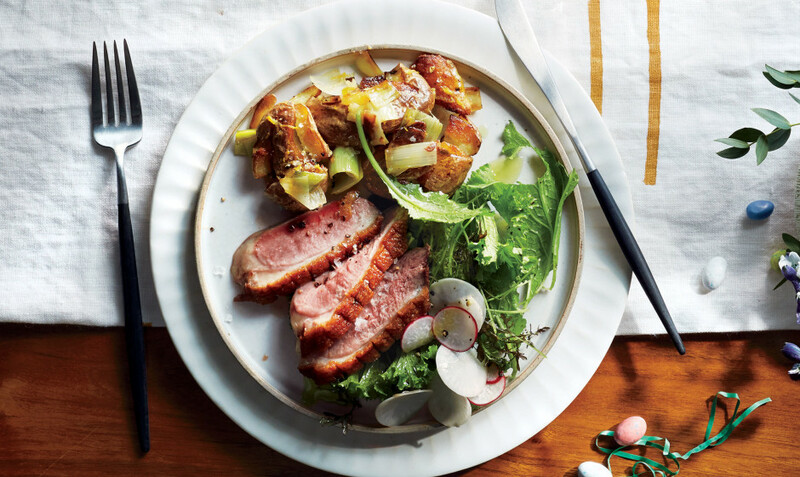 Scatter greens over a platter and top with duck. Sprinkle with sea salt and serve with mustard sauce alongside. 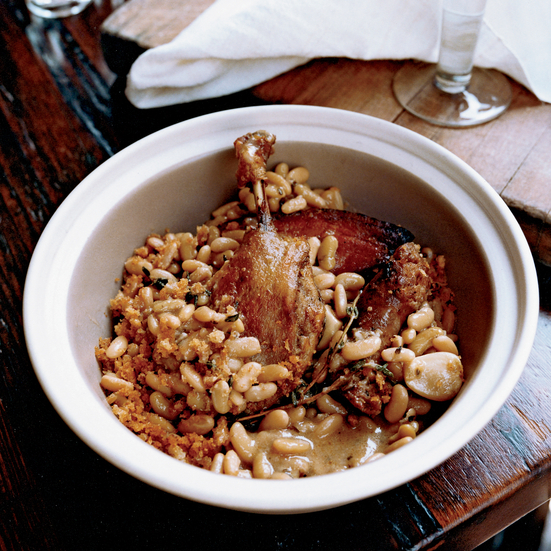 This recipes from Food & Wine makes confit duck legs part of a hearty French bean stew–perfect for late fall in the Midwest and a callback to Hemingway’s adopted home of expatriate Paris. In a large saucepan, heat 3 tablespoons of the olive oil. Add the pancetta and cook over moderate heat until the fat has been rendered, about 5 minutes. Add the onion and cook, stirring occasionally, until softened, about 7 minutes. Add the beans, thyme sprigs, water and stock and bring to a boil. Simmer over low heat, stirring and skimming occasionally, until the beans are al dente, about 1 hour. Preheat the oven to 350°. Rewarm the beans over moderate heat. Transfer the beans to a large, deep baking dish. Nestle the duck legs, garlic sausage and bacon into the beans. Bake for about 40 minutes, until the cassoulet is bubbling and all of the meats are hot. Remove from the oven and let rest for 15 minutes.